Iranian President Hassan Rouhani has warned Iranians they face hard times when new U.S. sanctions take effect on Sunday but said the government would do its best to alleviate them. Washington reimposed a number of sanctions on Iran in May after pulling out of an international 2015 agreement intended to curb Tehran’s nuclear program. U.S. officials have said they aim to reduce Iran’s oil exports to zero. 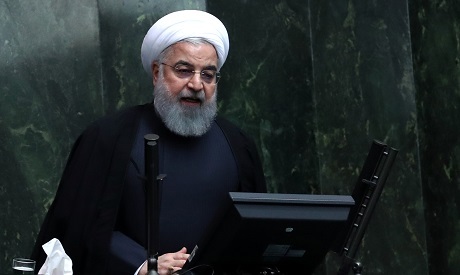 The Islamic Republic of Iran Broadcasting (IRIB) news agency on Wednesday quoted Rouhani as calling the move “a new injustice” which the government did not fear. The cost of living has soared in recent months, leading to demonstrations against profiteering and corruption in which protesters have chanted anti-government slogans. The rial currency has also sunk against the U.S. dollar due to the sanctions threat, with a heavy demand for dollars among ordinary Iranians trying to protect their savings. Iran began selling crude oil to private companies for export on Sunday as part of a strategy to counter the planned sanctions. Separately, Oil Minister Bijan Zanganeh said on Wednesday 280,000 barrels of oil had been sold on Iran’s energy bourse and an additional 720,000 barrels would be offered for sale again on the exchange, according to Oil Ministry news site SHANA. European powers will implement a so-called Special Purpose Vehicle (SPV) under consideration to facilitate trade with Iran next week, Mahmoud Vaezi, the presidency office head, said Wednesday, according to the Islamic Republic News Agency (IRNA). The SPV aims to keep trade flowing when U.S. sanctions hit Tehran.